…so don’t give up. I don’t really have anything else to say today other than that. I’m in the middle of book 3 revisions, renovating my house, preparing lesson plans for the YAGB tour, and revising other books that have not yet sold. It all seems pretty overwhelming and insurmountable. But it isn’t. It never is. The thing is: you can’t stop working. And you can’t give up. Writing is really hard. Revising is really hard too. And it doesn’t get easier just because you’re published or agented or have finished X-number of books or sold in 45 territories. More often than not, the writing just gets harder. But don’t give up. 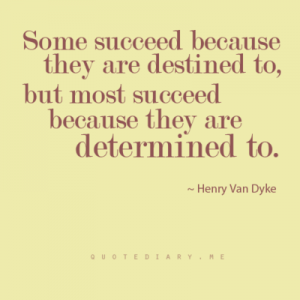 You’ll get where you need to be; we all do. And now, here’s some music to send you off to work by. It’s my current writing fave, and I hope you find it as uplifting as I do. Read Part 1 in this series. Read Part 2 in this series. ALL RIGHT. This is the last post on this–I swear. Also, FYI, the usual time between getting a book deal and your book hitting shelves (at least in traditional YA publishing) is 18 months to 2 years. There’s a LOT that has to happen, and your publisher needs every second. Read Part 3 in this series. I emphasize “simple” and “basics” here because every author’s journey is different and because, although things seem clear-cut on the surface, they are actually kinda complicated underneath. I get asked this a lot, and every time, I write out an answer. Inefficient much, Sooz? 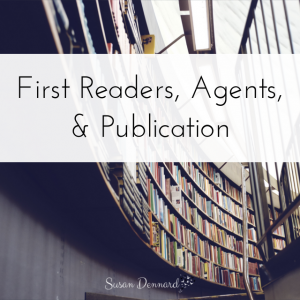 I’d say it’s about time to lay down the basic (and I mean VERY basic) framework for getting published traditionally–so not self-publishing, but with a traditional publishing house. Now, for those of you who didn’t already know all the steps involved, PLEASE don’t freak out. Getting published isn’t easy; it isn’t simple; and it isn’t quick. But if I can do it, then so can you. Nothing could apply more to publishing. We are down to the final days of NaNoWriMo, and I bet some of you are facing a lack motivation to reach the end…or maybe you’re facing the daunting task of what’s next (revisions! Uh, yay…?). Writing is never, EVER an easy process. It has been a WHOLE MONTH since SOMETHING STRANGE AND DEADLY released! Where does the time go?! Well, happy birthday to my little book. 2. Events, events, EVENTS. There are so many on the horizon, I don’t know what to do with myself. The first up is next Anderson’s in Chicago on Thursday, Aug. 30th. I’ll be signing with Veronica Roth (DIVERGENT), Erica O’Rourke (TORN), Dan Krokos (FALSE MEMORY), and Leigh Bardugo (SHADOW & BONE). There is some exclusive content action going on for this event, and you can learn more about it all here. 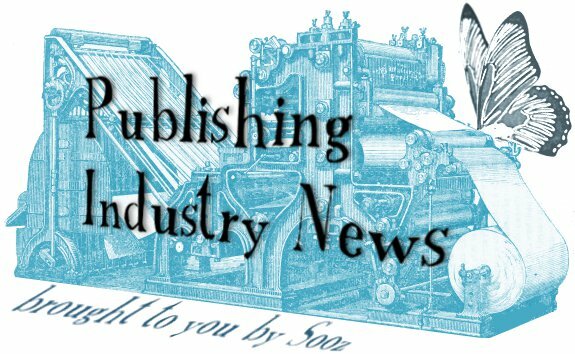 It’s that day again–time for Sooz’s YA and MG Publishing Industry Lowdown. The general idea is that I share all the deals I know 0f in the young adult and middle grade publishing world each Friday. My source for deal news is Publishers Marketplace, which requires a paid subscription. As such I’m only sharing part of the information here–basically, just author names and pitches. If you want to know deal sizes (e.g. advances), editors, publishers, and agents, I highly recommend you sign up for PM–it’s totally worth the cost! So, this week might win the record for the least deals ever posted. I mean, it is summer, which means the schedules are different, but…w0w. I’ll admit I’m a little stunned. Most of your publicity and outreach to the general market is up to you. Of course, as a shy introvert, accepting that I’m going to have to set up my signings and I’m going to have to do the schmoozing was a very, VERY difficult thing.